Mae &commat;JoeNicholls wedi gofyn i fi wneud mewn gweithdy blogio gyda &commat;SarahNicholas. Or to put it another way, yn saesneg, for non-Welsh speakers (and, presumably, Welsh-speakers horrified by my grammar in the previous sentence) I’ve been coaxed into doing a workshop as “a blogger” along with m’librarian colleague. Now, regular readers here a Little Storping will not be fooled, having noticed that nothing short of a new episode of Doctor Who airing will result in my putting finger to keyboard, and things are even worse over on my work-ey blog where after knocking out four posts I’ve awarded myself a holiday of a little over 19 months (so far). Clearly, it is imperative for my credibility that I hurl an assortment of words at both of these blogs, before letting them stagnate again after the session on 14th November. Why am I learning Welsh? I’ve been a regular visitor to Little England Beyond Wales for many years, but when I moved to Cardiff I vaguely intended to try and acquire some of the lingo but it never seemed that urgent. My inspiration came from a colleague who had started work at the University just before me, &commat;elliwiw. We were new in our department together. She’s such a passionate advocate for Wales and the language, it’s her job but it’s also her personality. I went to an event she’d organised. There I heard young Welsh speakers talk about what a comfort it was, having moved away from their home community, to be able to use their first language; especially at times of vulnerability and stress. I realised that some students, despite being Welsh speakers first, only knew the English vocabulary in their specialism. For those studying medicine, going on to become doctors, how can they bring comfort or break bad news to their Welsh-speaking patients at their most vulnerable in their own language if they work and think work in English? But why am I learning Welsh? I’m certainly not in those situations myself… There are two real reasons: a practical one and an aspirational one. 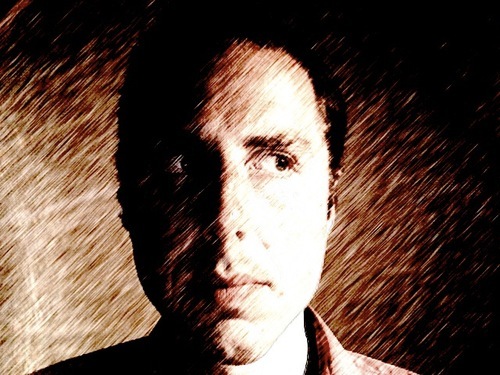 It’s useful to be able to speak it a bit of Welsh – I’m certainly not going to have the skills to do translations, but I might be able to spot errors, and maybe (one day) hold telephone conversations. But I’d also like to feel that when I’m with Welsh friends, I can join in with their discussion, in their language, and that I’ll be able to participate in the literature, culture and thinking that the Welsh language produces. What’s So Difficult About Welsh? Welsh is unpronounceable: completely wrong – once you’ve learned the alphabet, it’s easy, because everything is said exactly as it’s written. Learning the alphabet isn’t easy – it’s got more letters than the English alphabet, even though it doesn’t have all the English ones (no k, v, x, z…) But the famous nonsense of English – fish pronounced the same as ghoti – just doesn’t hold in Welsh. You spell it as you hear it, you say it as it’s written. Simples. There are too few vowels: again, just wrong. There are actually two more in Welsh than in English (a clue: one of them is w). So what is difficult? You probably know the Welsh word for Wales, if only from the name of the Welsh Nationalist party: Plaid Cymru. Look at the sign in the photo at the top of this post, welcoming you to Wales. Like all signs now in Wales, it’s bilingual. 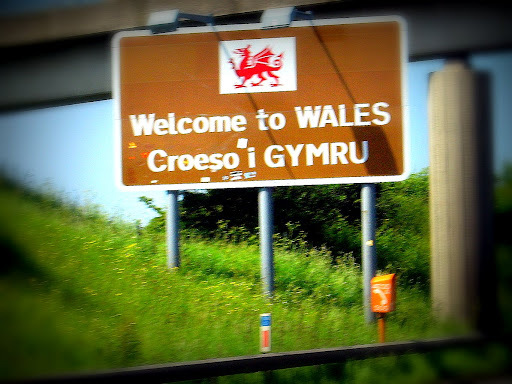 Compare the English and the Welsh: welcome – croeso – to – i – Wales – Gymru. What? Why’s Cymru spelt with a G in place of a C? There are three sets of mutations; if words start with certain letters they are converted to different letters by these mutations. The changes are different for each of these mutations. But that’s not the worst of it – the worst of it is the rules which govern which mutation is used when are unending. I’m still learning them now, after a year and a half, and you can’t always just ignore it. Last week we learned a case where the gender of the person you are referring to is determined by the mutation you use. Get it wrong and you’ll be saying “his” car instead of “her” car (I’m so going to be doing that). And if the mutations weren’t enough, how many different ways do you suppose there are of saying “yes” and “no” in Welsh? Don’t ask me; again, a new one last month. I think that’s 11 so far… each one appropriate to a different context. What’s Good About Learning Welsh? I’m no natural linguist. I abandoned French after GCSE. But I’m despite the difficulties I’m enjoying the challenges of learning a language that is so different to both English and any other language that I’ve encountered. Despite all the apparently inexplicable anomalies that arise, it’s enjoyable to find the patterns emerge and explain the puzzles. But what I like best is the sound and the feel. It’s a lovely language. It’s also wonderful that my employer is so supportive and pays the fees for the courses I do. I’m helped by a great dictionary written by an extraordinarily talented friend of mine. One of the difficulties of the language is finding the opportunities to actually use it, and practice. There are quizzes, reading clubs and social events organised for Welsh learners and I’d like to get to more of these but often I cannot. However, all the Welsh speakers I know have been amazingly encouraging and have tried to talk to me in Welsh to push me on! Finally, I think it’s especially good for me being in the business of education to be learning as a student. I’ll save some reflections on that for another post, perhaps over at the Development Oven. Well, diddorol (interesting) that may not have been, but at least that’s got a post out there. I’m always curious as to what motivates the English to learn Welsh. My first inclination, borne of a natural Welsh suspicion of our neighbours, is to assume it’s some attempt at infiltration to undermine our nation. My second is that it’s a long term effort at humouring us Welsh for later laughs. Unkind, I know. And, to date, unfounded. So, it’s heart-warming to read your generous acknowledgement of the importance of Welsh to first-language speakers as being motivation to learn. And delightful to witness such dedication to what must be a challenging journey. I don’t speak Welsh myself… I merely have an ‘O’ level. But I couldn’t agree more that never have I encountered a nation of speakers so encouraging of any efforts to communicate. I had a lovely chat with a stranger last week, which accidentally started in Welsh and continued thus until I was confounded by the word “amlwg”. He appeared happy I’d even tried. I have French to degree level, German to ‘A’ level, two years of Egyptian Arabic and one year of Russian and only in Russia and Wales have I never been made to feel stupid for trying to speak the language. Hoorah us! And long may such a positive attitude continue to encourage your learning. I’m excited about the teapot post. One of the challenges of Welsh I failed to list above is that there is no compulsion to speak Welsh. I’ve never come across a Welsh speaker who could not communicate fully and fluently in English. In France, I get by pointing at croissants and waving an appropriate number of fingers around, but it’s a compromise. There’s no compromise for the English speaker in Wales. So it’s absolutely a delight that there is so much encouragement to engage with the language. The feeling of panic I get is between translating what my interlocutor has said and thinking of a reply, and realising that I not only don’t have the vocabulary to articulate it in Welsh but I can’t even summon up any words with vaguely adjacent meanings! It’s torture. But the vocab is my weak point – I really need to get down to the memorising. This is a wonderful post. I’ve just finished spending two years at Aberystwyth Uni and I’m sad I didn’t manage to get to grips with more Welsh than I did in this time. I plan to move to Cardiff as soon as I’ve finished my degree via distance learning and once I’m there to learn Welsh properly, well at least enough to be able to get by. Thank you. I think it’s going to take me a while to get by in Welsh as I’m not a natural linguist (I have a friend who seems to be able to pick up entire languages in a matter of weeks) but it’s enjoyable and I appreciate the insights it gives – as well as being among the first to know which train is being announced at the railway station! So definitely, do get to grips with it. However, things have moved on and my friends in Aber who then tolerated my attempts and apologised profusely for responding in English to my feeble attempts to speak the language, would these days (as you have indicated) have been far more supportive. I do believe however that they were responding in what was then a very charitable way and that they were exercising a very natural skill the Welsh have for instantaneous translation – true bilingualism and an ability to respond in the target language the recipient would feel most comfortable in. I have observed this over and over again, in numerous situations, and it is a rebuttal of Welsh as an exclusive language which is only used when an English person enters a room. Oh! Don’t get me started on that nonsense!!! What you haven’t mentioned in your post is the time commitment it takes to study the language using the immersion techniques that the courses you are attending employ. For me, having many busy and varying calls upon my time whilst working, I found it totally impossible to regularly commit to daily sessions and once you miss a couple, you’re struggling. That accounts for my further two failures to progress beyond the early beginners level. So llongyfarchiadau, well done, pob hwyl. I await with interest the updates. I suspect your ‘feeble attempts’ went well beyond the stage I am at even now.